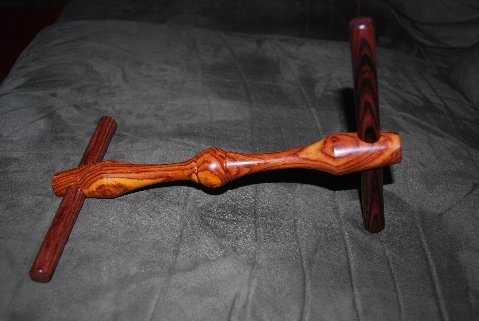 Recently, I asked Phil if he’d be willing to take on a custom order — a niddy-noddy. I have an old one from when I first started spinning — still can’t believe the lack-of quality. I love handmade items. 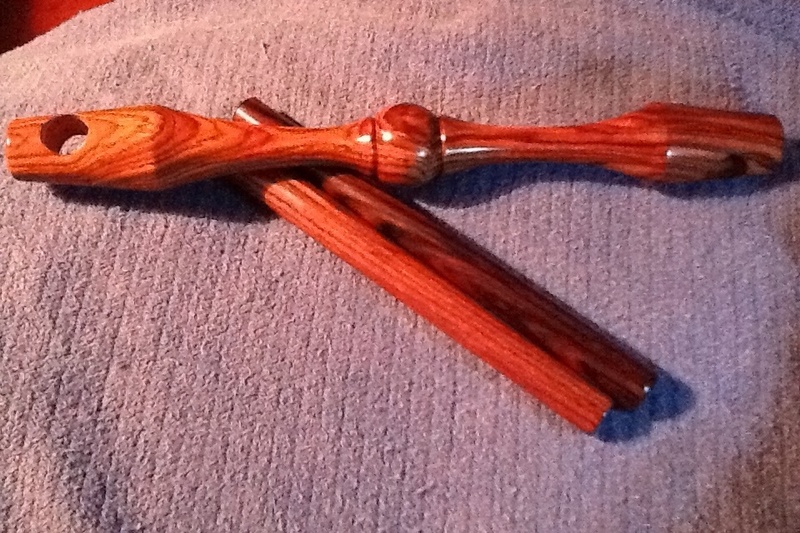 I love tools made of wood — functional art. A genius design — arms slightly tapered, inserting the small ends into the holes until they stop…perfectly centered!!! As with everything that comes out of Phil’s shop, he chooses gorgeous woods and turns them…highlighting the intricate beauty of each individual wood. 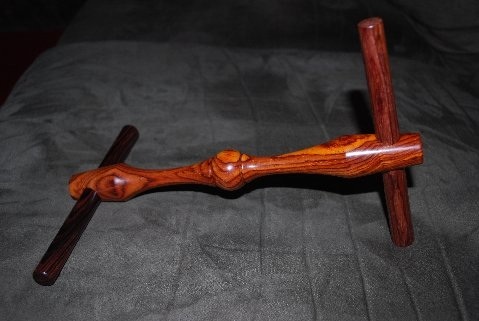 And it was no different with this Cocobolo Niddy-Noddy — the light center, comfortable to hold; the dark arms, turned to perfection, stopping at the center. Incredible.